Just how earth-friendly and sustainable is Wild Planet Foods as a company? Greenpeace places these guys on top for Earth-friendly, sustainable Canadian Albacore. That’s a pretty decent thumbs up. Pole and troll tuna fishing is rated as the best catch method for tuna by the Monterey Bay Aquarium Seafood Watch® program, Blue Ocean Institute, World Wildlife Fund (WWF), Greenpeace and other industry experts, and Wild Planet sources tuna only from pole and troll catch fisheries–none from long-line or purse seine fisheries. Wild Planet are 100% compliant and has been since 2004. Since Wild Planet workers take delivery of the fish right off their boats (many of the boat owners are shareholders in the company), this makes Wild Planet one of the very few packaged seafood companies that oversees choosing the highest quality fish from the catch, directing quality control in the packing of the product, and offering the product to customers. With their stringent “hook-to-shelf” philosophy, they are able to assure their products are their finest and are in compliance with their mission. Low-Mercury Fish. The troll-caught albacore in the North Pacific fishery are lower in mercury because these migratory fish are smaller (about 9 to 25 pounds) than the long-line caught older fish that reach up to 70 pounds after ten to fifteen years of growth. Because the longer a fish lives and feeds, the more it bio-accumulates mercury, Wild Planet packs only these smaller fish. Wild Planet Albacore Tuna contains less than half the mercury as compared to nationally branded albacore tuna. Therefore, according the guidelines established by the FDA, consumption of Wild Planet Albacore tuna 6-7 times per week (12-14 ounces per week total) — with each serving limited to 2 ounces as well — would still be below the recommended FDA range for mercury consumption on a weekly basis for women and children. Per these FDA guidelines, men and women not of childbearing age may safely consume more than the 6 ounces of nationally brand albacore tuna or 12-14 ounces of Wild Planet Albacore Tuna. Wild Sardines: Ounce per ounce, Wild Planet sardines provide more calcium and phosphorous than milk, more iron than spinach, more potassium than coconut water and bananas, and as much protein as one steak. One can of Wild Planet Sardines contains 313mg EPA and 688mg DHA Omega 3 and contain Q10 (CoQ10). And for only 73 calories per 2 ounces (in water, 110 calories packed in olive oil) (and 0 carbs), you can enjoy these anywhere you typically enjoy sardines–only you know that the sustainability aspect makes these all the more attractive–well, as attractive as fish can be… My husband loves these small fish, and he (and the cat) went to work on the healthy can of eco-friendly fish. Wild Albacore Tuna: Hand-cut and packed sashimi grade tuna steaks in a micro-canning process means the Omega 3 oils are retained and no liquid is added, so no draining is necessary. In BPA-free cans, the smaller fish are picked for less mercury accumulation, and with 5 ounces of tuna in every can, this Pacific Northwest delicacy will take you back home (without the need for an umbrella). And for only 120 calories and 0 carbohydrates per serving, you can rest assured you’re eating something that won’t bust your dietary budget for the day. And my ardent-tuna-fan kids, it’s especially nice knowing I don’t have to worry about the kids ingesting excess mercury from their fish. Price: $4.99 per each 5 ounce can of albacore, $3.50 per 4.5 ounce can of sardines . Disclosure: Wild Planet has provided these products free of charge for review, but this has not affected my review of the items. They also provide great customer service. One of my cans busted during shipment (wondered why my package SMELLED fishy!). When I called, they were super nice and they shipped me TWO cans to make up for my trouble. That is so good to hear! I love companies who stand behind their products–and their customers. Canadian Fish! Makes me want to stand up and sing O Canada! Patriotic me! But pardon me, my wild salmon is Alaska Wild… And always will be, that is all there is on our store! Resolution… To eat more fish this year, instead of once every six months! I know all about the essential fatty acids, which I take everyday in capsule form, but I just do not love or like mayo… But I have just recently substituted Sriracha Rooster Hot Sauce and it a fine salad condiment! Honestly … It is hot enough to mask the flavour of the fish! So I will try! Jamie, is the wild tuna milder in taste than the average albacore white tuna? If so, the milder the better for me! Maybe there is hope for me yet! Gladys, I think they taste about the same. Can I get this Canadian tuna in Canada? That would be great if I could! Good question. I peeked at their website and they said you had to contact them about questions about shipping outside of the US… so I’m thinking they only offer their products in the US right now. I love you and have been a follower of your websites and blogs for many years.Having been a commercial fisher-woman in the pacific north west i take exception at some of the propaganda put out about ” natural fish”. The reason Albacore Tuna is smaller in the pacific is that Asian and Russian ” floating Canneries ” sit in international waters ( 12 miles out ) and use nets to drag, any by catch gets dumped. and a commercial fisherman must pole catch and land the fish softly so it wont bruise and bleed it immediately then pack it on ice. Depending on how far in the ocean the boat is and where the nearest harbor is that has an approved buyer it may be a few days before the fish gets to market. It will be still fresh but not a daily catch. As for sardines, they are plentiful again and are delish . I used to buy them when they were cheap and a lot better then the canned ones are now. As for the Mercury scare, my hubby and I used to play as children with the Mercury balls that spilled out of the broken thermometer and we are in our 70s with no health problems. He was an master electrician and should be dead after breaking hundreds of fluorescent bulbs over a long work-time. thank you for an informative blog Love you. Hi, Monika! Oh my gosh, I love you. Hard. Thanks so much for sharing your personal experience from within the industry, and for your (and your husband’s) personal experience, too! I love and am grateful that you took the time to share. I never knew. I feel so smart tonight, thanks to you! I hope you keep educating me. I love salmon and fish, and I am always a little paranoid about things like mercury, so your comment really helps. Does it bother anyone that the tuna is packed in the communist country of Vietnam? Do they have healthy standards in their canning? makes me a bit nervous?? Yes, I am bothered by the lack of clarity on the Wild Planet website about their “partners” in Vietnam. I understand the necessary cost advantage of processing/canning overseas, however I remain perturbed by the lack of info about how Wild Planet oversees their “partners” and ensures the highest quality product. If it were me, I wouldn’t hide behind the term “partners”, I’d be verbose about what my company does that is better than any other company when it comes to overseeing my “partners”….maybe Wild planet has American employees living in Vietnam to oversee the partners?? Maybe Wild planet performs certain tests in the processing/canning processes like they do when it comes to the quality of the fish when caught? The more info, the better I feel about the products that I buy. Are you kidding me? 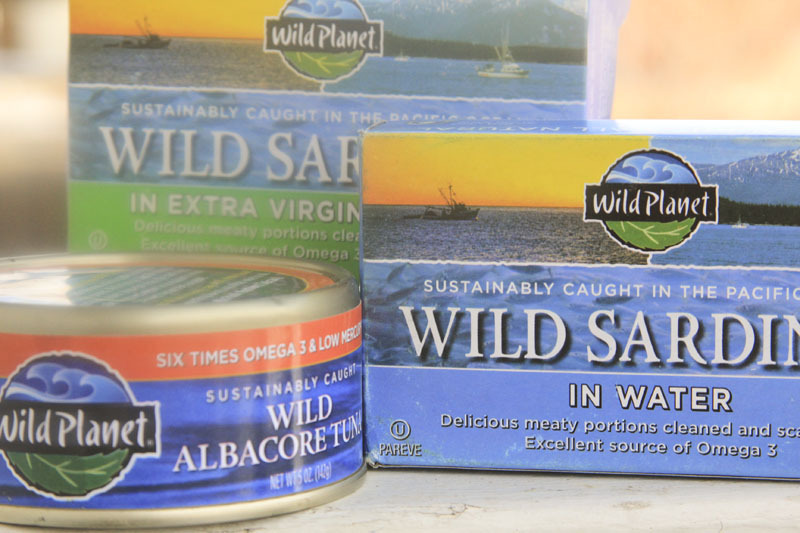 Wild Planet canned their seafood in Vietnam! No FDA looking over their shoulder…..dirty water, unsanitary condition! And by the time the fish gets there it is not longer fresh. I love Brunswick canned seafood (tuna/kippers/sardines) caught wild in Maine or Canada and then immediately canned in CANADA! Yes…you can taste the freshness and it is delicious! I tell everyone who picks up a can of Wild Planet about the Vietnam canning and not to buy it! Most Supermarkets carry the Brunswick line! Give it a try!